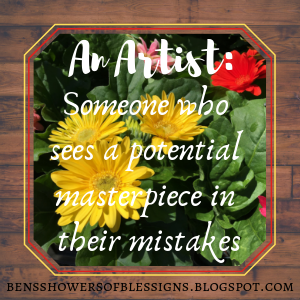 Showers of Blessings: Why, God? "Why aren't you trusting Me?" 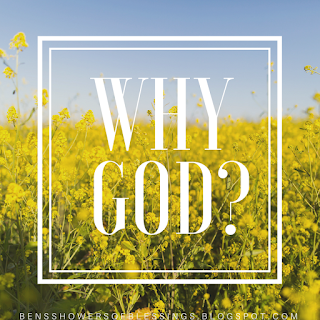 One of pain and "Why's"
God wants us to trust Him even if we don't understand the "Why's." Our unanswered questions are answered, just with a question for us. Why aren't we trusting? This is a real struggle for me, but I am learning that in order to really find peace that surpasses all understanding throughout this turmoil, I need to really ask, seek and knock. A few weeks ago, I was asking for peace. I would pray and pray but never felt peaceful in what I was going through. I thought I didn't know the right way to pray for peace, maybe I was doing it all wrong? No, I wasn't doing it all wrong, but I was missing something, though. I would pray and then expect this peace to wash over me like I had heard in stories. But I was frustrated when I wasn't feeling peace. I took a walk in the woods and sat by the creek, I told myself that I wasn't leaving until I had figured something out. I contemplated, "What is Peace?" To me, it is staying calm and feeling God's presence in all of the craziness of life. While I was in the woods, I was listening to the sounds of nature. The creek, birds, trees in the breeze, etc. One sound interrupted the quietness of the woods, it was a woodpecker. The noise of him pecking on a tree was like knocking on a door. Instantly a bible verse came to me, and at that time, I had no idea how that bible verse would help me find the peace that I was looking for. It was Matthew 7:7 "Ask, and it shall be given to you; seek, and you will find; knock, and the door shall be opened to you." As a kid, I learned this verse as a song, and after hearing that bird, this song was stuck in my head. Now that day, I didn't quite figure much out, but a few day's later, I read a post on Sarah Keatts blog, One Name. Go here to read her post. The last few paragraphs really hit home and made me realize that what I was missing was the seeking Jesus part. I was asking, but not seeking. Now it makes since for me to have had that song stuck in my head. I was putting all of my effort into asking and was disappointed, but now, I'm learning to ask AND seek Jesus in all of this. Because, Jesus is the Prince of Peace! The last part of Matthew 7:7 is to knock, I see this as moving forward. I want to be able to take a step of faith and knock, even when I don't know if that door will open or close. 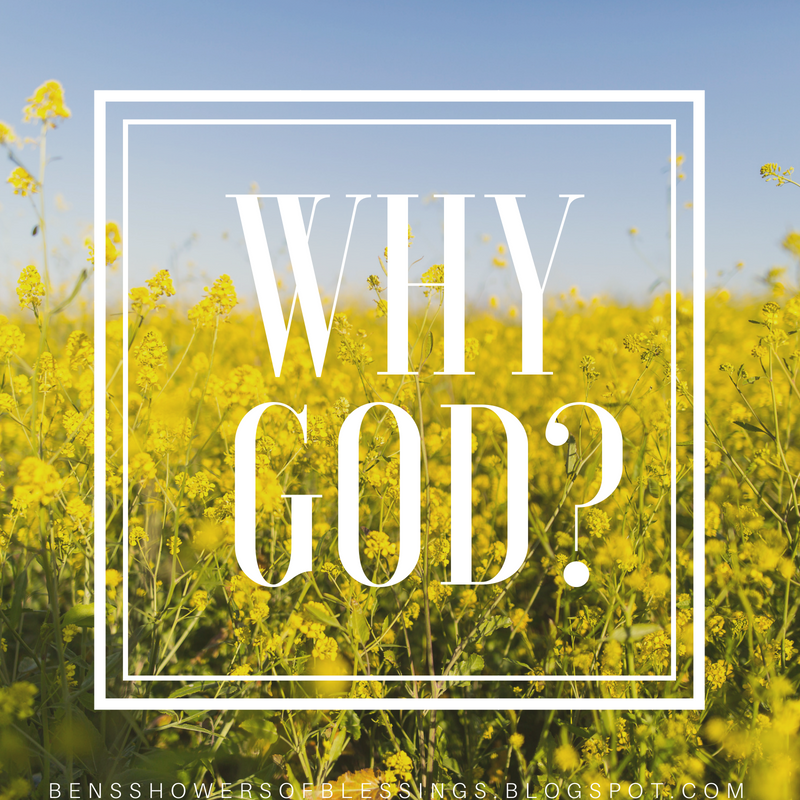 Instead of asking "Why?" I want to learn to be trusting in Him. Do you catch yourself asking "Why?" a lot? Have you ever wondered how to really find peace that surpasses? What does Matthew 7:7 mean to you?? How can we stop worrying and start trusting? 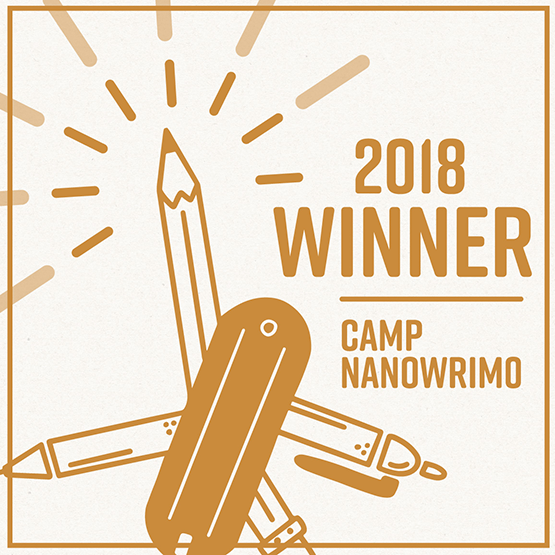 July Camp Nano was awesome! 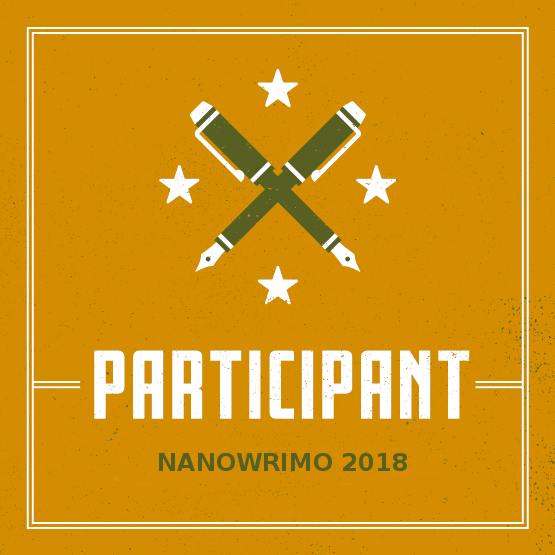 And I made it to my 10,000 word count goal!!! Im so excited to see where this story takes me! 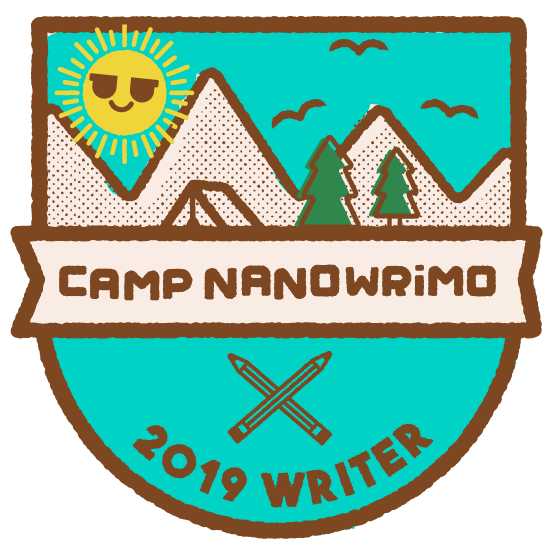 :D Did you do Camp Nano? Have you read any awesome books lately? Labels: Ask-Seek-Knock, Faith, Let go, Poem, Reminder, Storms, Take a step, Trust, Why? "Why aren't you trusting?" <--- That line hit me hard, this was so good! It did me too. So many times I get wrapped up in my worries, what ifs, and "why's" that I forget to trust Him with them. God is so patient with me! Yes, it is very comforting to know that He is in control. No matter what. And Camp was awesome!!! Thanks for joining us! Twas great to read your thoughts. I have questioned how to find God's peace. Matthew 7:7 reminds me of a verse I found in Zephaniah (3:2) just recently. It tells someone what they did wrong but I just changed it to positive tense. So the things it lists are: obey the voice, receive correction, trust in the Lord and draw near to God. Remembering those things has really helped me. Thanks so much for reading, Rachel! I've never thought to change the tense before... thanks for sharing! Obeying, receiveing correction, and trusting Him is so crucial! this was AMAZING. sometimes the whys are just so overwhelming. Thanks, Sophy! And yes, all the whys really do get overwhelming at times! This is such an important lesson to know. We often want to know “why” when Jesus just tells us to trust Him. It’s hard to fully trust Him when we don’t understand but that’s what trust really is. I love the poem you included at top. That was sweet of you to link it back to my blog <3. So true! And it really is a lesson we have to learn daily. Because there will always be the why's and unknowns, trusting God in each instance is the only way find His peace in all this! I've found myself doing the same thing. A devotion I read awhile back mentioned that I don't need to understand everything. Like the song "Magnify" where he says, "I don't need to see everything-just more of You. Take it all take it all away; magnify no other name. Open up open up my heart, to You." I just need to trust, and seek Him!! I'm kind-of a control freak, so learning to know it's okay to NOT understand has been quite the lesson. But He's helping me. <3 Wonderful post, Brooklyn! Yes, and I think that the key is to realize that we don't have to understand everything that's going on around us. We don't have to have our lives planned and figured out, because where is the trust in that? God knows the plans He has for us, and that is good enough reason to rely on Him for guidance! That song you mentioned, I didn't know if I had heard it before, so I looked it up and it was really good! The lyrics that stood out to me were, "Oh God be greater, than the worries in my life. Be stronger, than the weakness in my mind. Be louder, let Your glory come alive. Be magnified." I totally get wanting to have a plan and have things mapped out. But I think it is important to know that Gods plans are far better than what I can come up with on my own! He has a plan for YOU and He has a plan for me, it's up to us to trust Him even when we don't know the next step. I like the poetry especally.